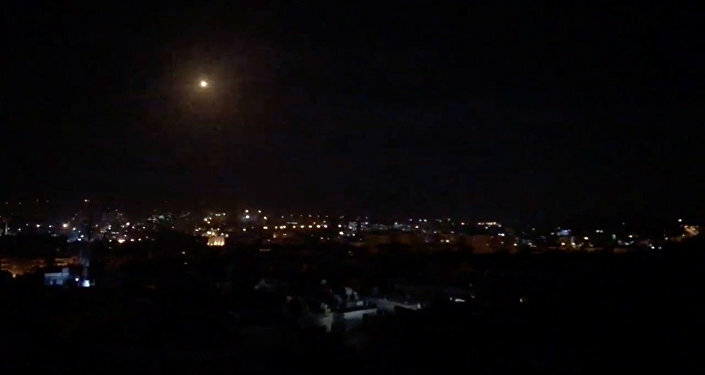 Prime Minister Benjamin Netanyahu confirmed on Tuesday the Israel Defence Forces (IDF)'s strike on Syrian territory, saying that Israeli forces "operate every day, including yesterday, against Iran and its attempts to entrench itself in the region". "Iran is issuing threats against us. On the fortieth anniversary of their revolution, they threatened to destroy Tel Aviv and Haifa. I said that they won't succeed and if they try, it will be the last anniversary they celebrate," Netanyahu noted, in a nod to the 1979 Islamic Revolution. He said that the IDF does "whatever is necessary", as they are constantly operating according to Israel's "assessments and needs" to prevent Iran and its allies from forming bases near Israel's northern border or "in our area at all". The IDF is "operating through a lot of different means and elements against their [Tehran and its allies'] attempts to arm up on nuclear weapons and ballistic missiles and entrench themselves in Syria", Netanyahu stressed. Separately, he pointed to Israel's "very good" relations with all Middle Eastern countries "except for Syria". Netanyahu's remarks came a day after the Syrian Arab News Agency (SANA) reported that a demolished hospital and an observation post in Syria's Quineitra Province close to the Golan Heights had been hit by Israeli tank fire, causing no casualties. Earlier this month, Secretary of the Iranian Supreme National Security Council Ali Shamkhani warned that if Israel continues to attack Syria, "specific measures will be taken to contain it and to respond decisively and symmetrically". Israel has been carrying out airstrikes on Syrian territory over the last few years, claiming that they are targeting Iranian as well as Hezbollah forces and warehouses to contain what Tel Aviv describes as Tehran's increased influence in the region. Iran insists that it only sends advisers to Syria at the request of the Syrian government.